Corded power meets cordless convenience with the 18V LXT Brushless Compact Router Kit, model XTR01T7. The 18V LXT Router has an efficient Makita BL Brushless Motor for up to 50% longer run time, increased power and speed, and longer tool life. The kit includes two efficient 18V LXT 5.0Ah batteries, and each reaches a full charge in only 45 minutes – the fastest charge-time in the category – for less downtime and increased productivity. Shipping Weight : 20.1 lbs. 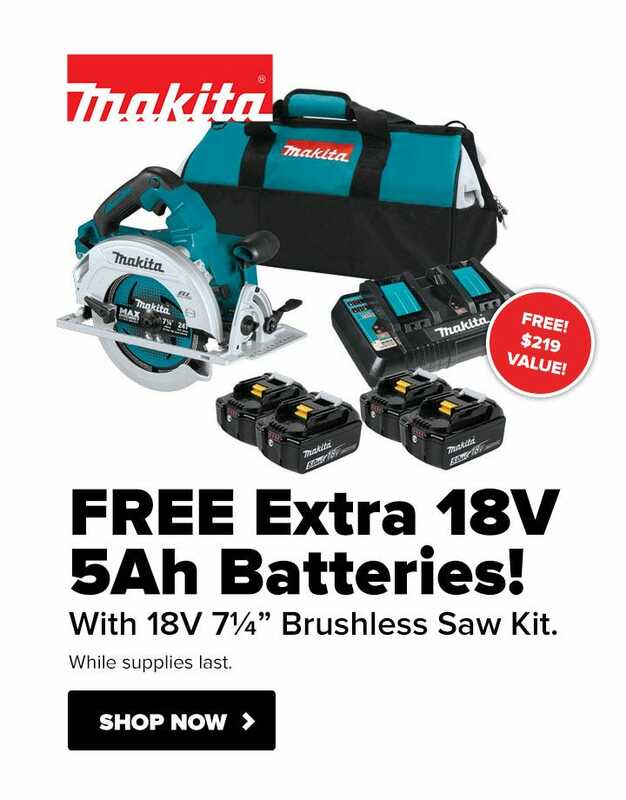 FREE Bonus 18V Cordless Tool or Battery! Select your FREE tool below. While supplies last. Offer expires on March 31st, 2019.